United Property Management - Welcome to United Property Management! Welcome to United Property Management! At this site, you can browse through our available rentals, vacation rentals, and property that is currently for sale. United Property Management offers a wide variety of services to the Inland Empire community, including Management services, Maintenance services, Apartment and Home Rentals, Apartment and Home Sales, and vacation rentals. 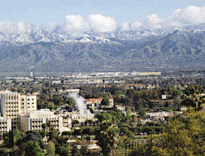 Are you interested in having us Manage or maintain your Inland Empire property? Click Here for more information. Would you like to contact us or view our business hours? Please visit our Business Information page for such details. We recommend that you Click here and fill out this form to help us assist you. The form will automatically email us your contact information and put you on a list so that we can find the perfect home for you!